We love science! Not only does it help children better understand the world, learn about math, physics and chemistry, there are just so many exciting experiments you can do to wow and amaze at any age! It’s a true fun learning. This year we celebrated British Science Week with lots of discoveries and exploring. Our babies loved mixing colours and exploring different textures. 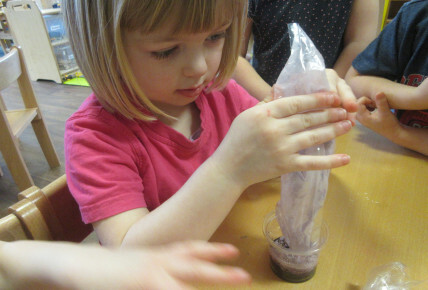 Toddlers loved watching mini volcanoes erupt, making ‘fireworks’ with spaghetti and paint and ‘releasing’ toys that were frozen in blocks of ice. While pre-school took it seriously with activities to learn about water absorption, skeleton and body parts and weighing and measuring.